As I’ve mentioned several times before, 2018 was not a vintage year for my model portfolio. It wasn’t a terrible year either, but there were more bumps along the way than I would have liked. One of those bumps was caused by N Brown, the size 20+ and age 50+ clothing retailer, when it cut its dividend in half. For several years, N Brown has been working through an extensive project to transform itself from a home shopping catalogue business into a world class online-first retailer. 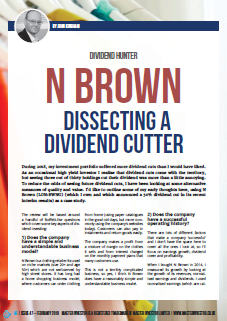 In fact, N Brown’s ongoing transformation was largely why I invested in the company. Uncertainty around the project’s outcome (could N Brown really transform itself, or was it destined to go the way of so many obsolete catalogue businesses?) was depressing the share price, making the valuation appear cheap. And by ‘cheap’ I mean the company had, among other things, a market leading position in its niche, a 4.2% dividend yield, a 10-year growth rate of 8.7% and average returns on capital of 11.2%. N Brown appeared to be an above average company with a below average price, so I invested. With 20/20 hindsight, I now realise that was a mistake. Not a huge mistake, but a big enough mistake to make me spend most of December thinking about where I went wrong, and what I should have done instead. 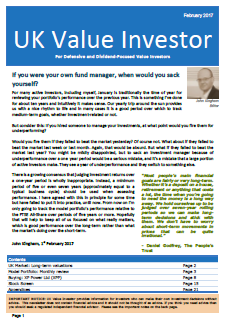 There were several key issues, such as my use of ‘normalised’ earnings instead of reported earnings, failing to look at profit margins or being overly willing to invest in turnarounds and transformations. But as somebody once said, mastery is the result of years of effort, mistakes and learning. And having made a mistake, I now think I’ve learned the relevant lessons. Dealing with tax is part of running any business. Legal Expenses are also realistically non exceptional items, although I suppose you don’t expect to have a VAT case with HMRC every year. I’m with you on all this, I only now consider how much the company makes each year after tax etc, and how much free cash it returns. Low margin businesses are usually now sidelined, unless like PayPal, they have such huge scale and growth. I shall be restricting my retail exploits to Next, Ted Baker and Joules — that’s enough – two are well in profit, Ted is a few % underwater at the moment. Hi LR, I recently read something by Buffett on this point and he essentially said that removing non-recurring non-operational items makes sense if you’re assessing the company’s performance for a single year, but if you’re looking at longer-term performance then these ‘exceptional’ items should be included. 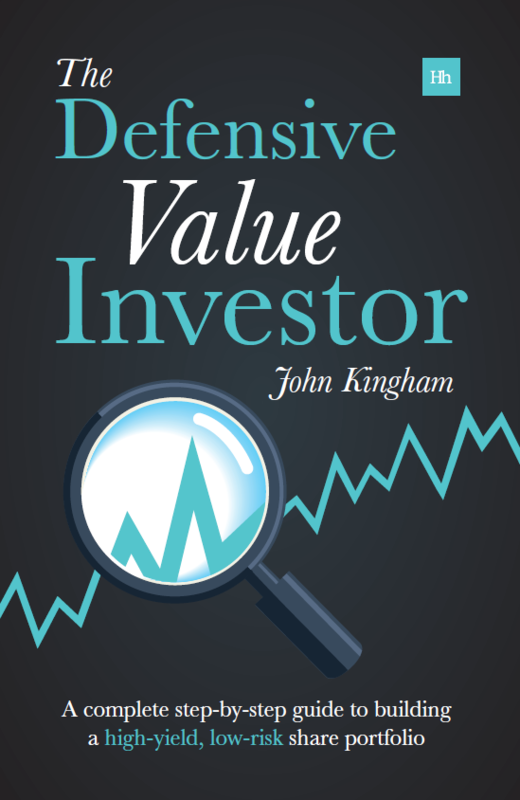 The risk, as you point out, is that there tends to be more exceptional expense rather than income items, and it’s a useful way for management to massage the results in their favour. Anyway, lesson learned, so now it’s onwards and upwards. As for retailers I own six, which is quite a lot out of 30 holdings, but they’re all market leaders and, other than N Brown, all highly profitable. Other than a cyclical downturn if the UK tanks, I don’t expect any trouble from them. John – Just penned an email and it wasn’t published — not sure why that is. Hi LR, your comment contained a link and for security reasons it needed moderator approval. I’ve approved it so all is well.